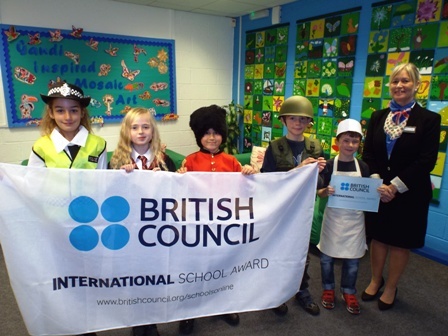 Wanborough Primary School has been awarded the British Council's prestigious International School Award in recognition of its work to bring the world into the classroom. 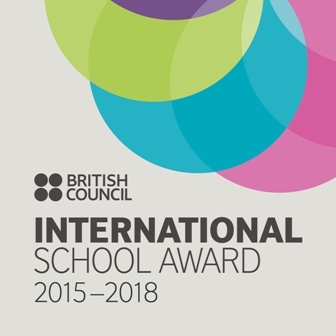 The International School Award is a badge of honour for schools that do outstanding work in international education, such as through links with partner schools overseas. Fostering an international dimension in the curriculum is at the heart of the British Council's work with schools, so that young people gain the cultural understanding and skills they need to live and work as global citizens. On 12th November Mr Drury went to a special ceremony in Plymouth for the schools achieving International School status in the South-West of England. We were awarded our certificate, plaque and a flag!